There have been a lot of good times recently for the New York Mets, as they took over the lead in the National League East a few weeks ago as they try to make their first postseason appearance since 2006. They have a gaggle of young arms that any team in baseball would drool over if they had in their possession. They even acquired Yoenis Cespedes to help in their playoff run, hoping his impact bat and shotgun arm can help lead them to the ‘Promised Land’. 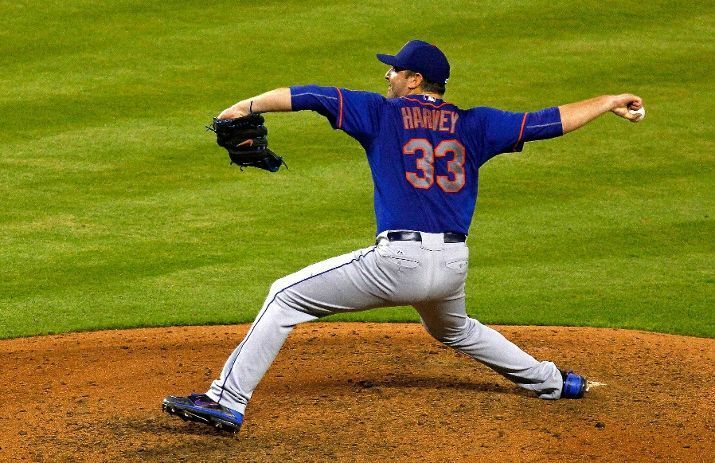 But not so fast; Matt Harvey isn’t sure he can pitch much more this year. Alderson’s position seems to be that he intends to keep pitching Harvey, except for one more missed start, and that they would watch him closely and take it on a “case-by-case basis” should the Mets get deep into October. Alderson said it has been his understanding that they mostly need to avoid “fatigue” or a loss of “rhythm” (that means he can’t be expected to pick up and pitch after a lengthy layoff). Three rival GMs say Dr. Andrews does not prescribe set limits post-Tommy John. “He always says to watch and go on a case by case,” one says. Alderson: “He didn’t say 180 was the number. He was not categorical at all.” Added Drs. Andrews, El Attrache, Altchek all disagree on limit. 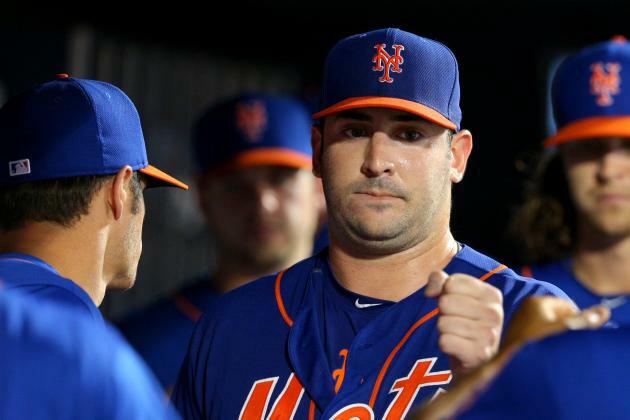 Matt Harvey tells reporters that he's always considered 180 IP a limit, and won't answer questions about the playoffs. Can't believe this. Okay. So Harvey sounds very political here, almost like he doesn’t want to anger anyone involved. But it also sounds like someone got to him, like his agent. Let’s all be honest here; Scott Boras is known to put his wants and needs in front of his clients. Oh sure, he will tell you he is trying to do what is best for his client by putting them in a situation where that player can get above market value dollar wise. But who does that also benefit? Scott Boras. This feels like Boras convinced Harvey that the safer thing to do is stop now, for his future and his career. He might have even convinced him that Dr. Andrews had him on a pitch limit. But it doesn’t sound like this decision was made solely by Matt Harvey and Matt Harvey alone. So there is another question; is Harvey hurt? Echoing others: Only logical explanation is that Harvey not 100%. We can debate 180 IP. But this should not be coming up now, on Sept. 5. I’m not so sure we would even be debating this topic but Harvey has always struck me as a guy who was competitive to no end. But his comments on Saturday didn’t seem like someone who wanted to garner some postseason experience: Harvey was asked if he was hurt and replied “No. Not at all.” At this point we have to assume that he is telling the truth and his reconstructed elbow feels fine. Hey, if he is hurt then I have no issue with Harvey saying so and wanting to not push it. But if he isn’t then it seems odd that such a top level player would rather not take part in the playoffs, the whole reason most players even play the game. 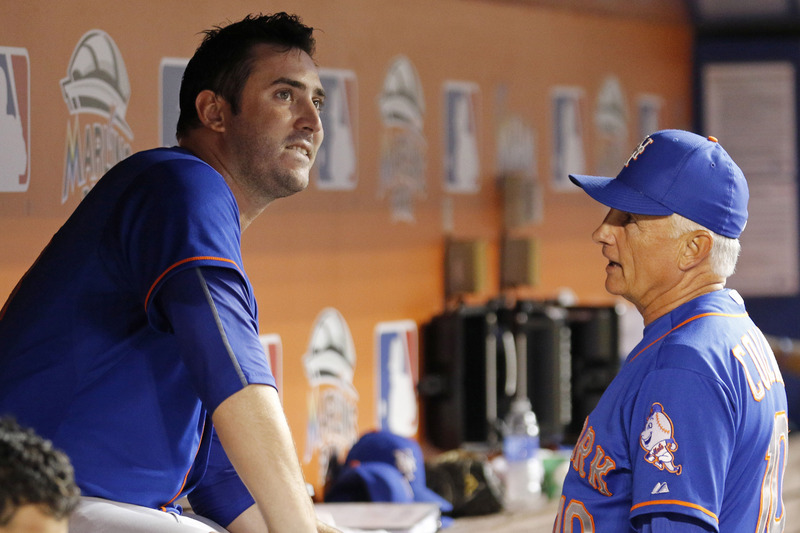 If all this is so, it is easy to ask: how long will Matt Harvey still be a New York Met? 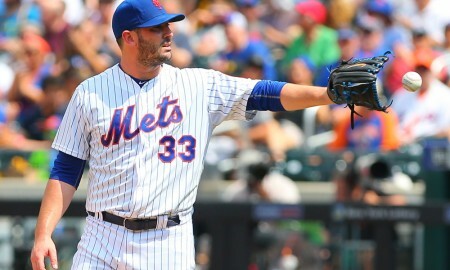 So with the Mets loaded in young arms like Jacob DeGrom and Noah Syndergaard, it is logical to think Harvey could be traded for a solid bat for the middle of their order. 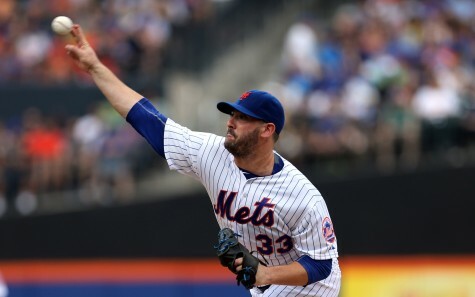 You hate to get rid of a top level arm like Harvey has, but one wonders if the damage to this relationship is severed so far it can’t be undone. One more topic that should be brought up to this argument; innings pitched might not be the proper barometer to measure how far Harvey should go this season. In fact, it would appear the better argument is pitches thrown. I've been writing for at least 17 years now: it's not the innings, it's the pitches. Why the hell are we still talking about innings? Boras was comparing Harvey to other pitchers who returned from Tommy John Surgery and the differences between problems they have and the innings pitched by each pitcher. So instead of innings, what would total pitches look like? Look, going by pitches gives you a better idea of how much stress has been put on the arm and especially if you break it down farther by taking into accounts pitches per inning. The innings limit is nice, but if you really want to make sure Harvey stays healthy, wouldn’t this be a better way to keep track of his arm? 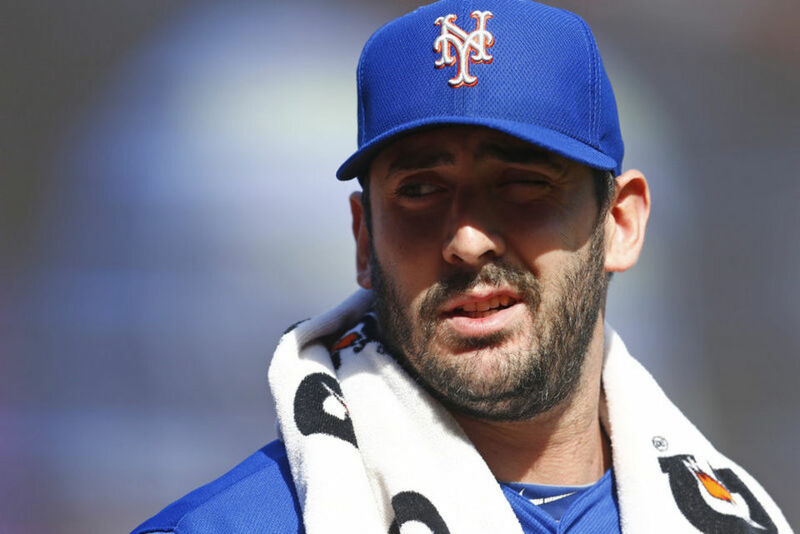 I feel like Matt Harvey really underestimates the fury of NY sports fans…. specifically NY #Mets fans. 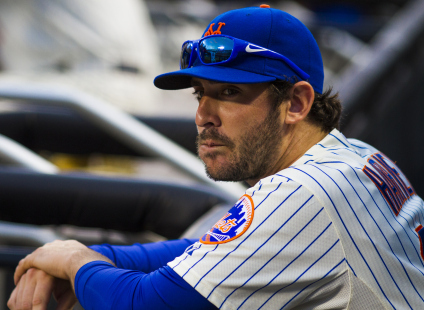 I hope Matt Harvey understands he just became the first player to publicly abandon his team before the playoffs. Good luck with that, kid. Sources: Bartolo Colon also working according to innings guidelines. Won't stop pitching until he reaches 5,000. Trust me Matt, Mets fans will remember what you look like now. Oh, they will remember. Fun to see you step away from Royals for an article. You’d think he’d want to pitch in the playoffs and Series (if they get that far) just so he can say he did. As a fan I frankly, won’t want to see my team look seriously at a pitcher whose afraid to pitch. I think that is the most perplexing thing about this; I just can’t imagine a world where a player doesn’t want to be part of the postseason. And I agree: who wants a guy who could flake on you at any moment? I’m shocked that Harvey thought he could get away with making such comments. Forget about the NY media which by itself is exponentially more volatile than the rest of the country, he’s young enough to know that these stories flare like wildfire on social media. If we take him at his word and he really is concerned about innings limits than he probably doesn’t have the makeup to pitch in the pressurre cooker of post season baseball. Ship him out!